Cli Fi, or Climate Fiction, is rapidly becoming a widely accepted term to designate a new genre of books dealing with Climate Change but not only: many elements taken together – like the demographic explosion, growing income inequality, urbanization and the rapid industrialization of the Third World – contribute to threaten our survival on Earth. Personally, I am convinced that things will get from bad to worse in about 200 years and go kaput in 600 years, if we don’t do anything about it. And that’s the worst of it: because it is a relatively slow process, a lot of us don’t feel the urgency and even deny that the process is going on. Result: on a political level things are moving at a snail’s pace and the end of the world could really sneak upon us in 600 years! The involvement of literature in the Climate Change debate is growing, and one UK academic, Dr. Adeline Johns-Putra recently noted that in the past eight years, at least 150 novels dealing in one way or another with the likely future collapse of humanity have been published, fifty of them pure “cli-fi” (I blogged about it here). I love that: “these novels can’t help but intervene in the ongoing debate on climate change policies”…Makes me happy, I certainly hope my Forever Young will be viewed that way, I conceive of it as a contribution to the debate though my main objective always remains one of a story teller at heart! 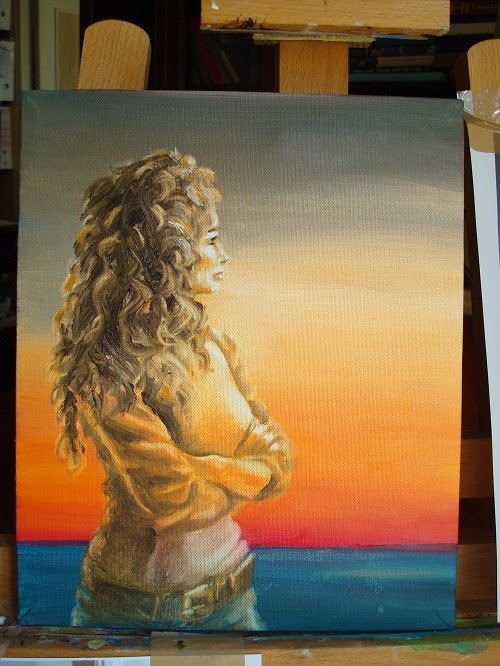 Now I am working on the cover of my cli-fi/sci-fi book Forever Young that will soon be published and I need your help. Dear reader, this is a difficult challenge, there are no established norms for the covers of Cli-Fi novels…Consider the variety, from New York submerged in water (like on the cover of Nathaniel Rich’s novel Odds against Tomorrow) to the bucolic charm of Barbara Kingsolver’s novel (about a monarch butterfly invasion). What do you think of my two book covers? I’ve set up a poll below where you can answer, voting for your favorite. 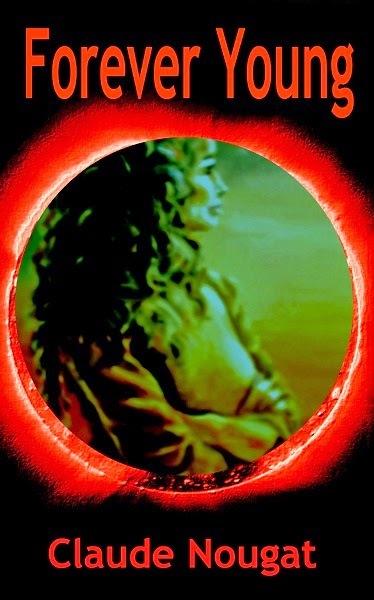 Why a woman instead of space ships and distant planets as is the norm for science fiction? Because space travel is not the point of the book. One particular woman is – she’s a major character, her name is Alice. She’s young and beautiful, warm-hearted and very, very independent. One of my beta readers, Bob Rector, who also happens to be a hugely talented writer (he just published Unthinkable Consequences that is fast becoming a best seller), quite literally fell in love with her and asked me to put her on the cover. 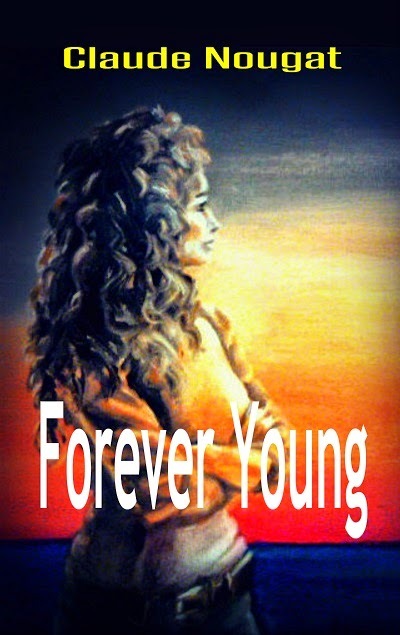 Forever Young, a serialized novel in 4 episodes, is set 200 years from now, in a world divided between the ultra rich, the One Percent, who live in gated communities and the others who don’t and suffer the full onslaught of pollution and Climate Change. The One Percent are the only ones who can afford all the advances of technology, in particular the exclusive Age Prevention Program (APP), whose members wear special Life Watches that enable them to expand their life span to the genetic maximum of some 140 years and look young till the day they die. The novel interweaves several plot lines; the first is a love triangle between Alice, a young Swiss nurse, beautiful and independent, Lizzie, a talented golf player, the descendant of the mythical Tiger Woods, and Jamie, an ambitious reporter who works for the World and US Post, an amalgam of the Huffington Post and the New York Times. The second covers the rising threat to life on earth, as humanity is headed for extinction; there are only two options, both reserved to One Percenters: one, escape to another world, a pristine exoplanet a thousand light years away; the other, retreat to Antarctica, the last virgin continent. The third follows the murderous attempts of one determined 99 Percenter, a retired Blue Beret who has served all his life in the United Nations Peace-keeping Forces and is hell-bent on carving a place for himself in the Age Prevention Program. Please vote, let me know what you think in the comments below (not on the poll site, I may miss it there). To show my gratitude for your help, I’ll send an advance copy of the book (digital – pdf) to the three best and most useful comments (lottery drawn if there are too many!). Again, many thanks for the help! Post scriptum. 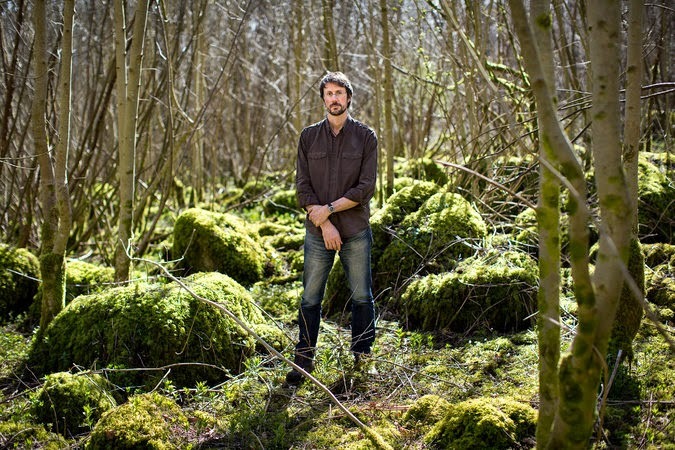 Just as I closed this post, I came across an article in the New York Times Magazine, about the amazing “Uncivilization” festival organized in the UK by the Dark Mountain Project led by British author Paul Kingsnorth (see here). Never heard of Cli Fi before, you learn something new everyday!